Move over Bridget Jones; my ancestors have arrived. Well not exactly, but that book has inspired another ‘Think Outside The Book (TOTB)’ challenge. 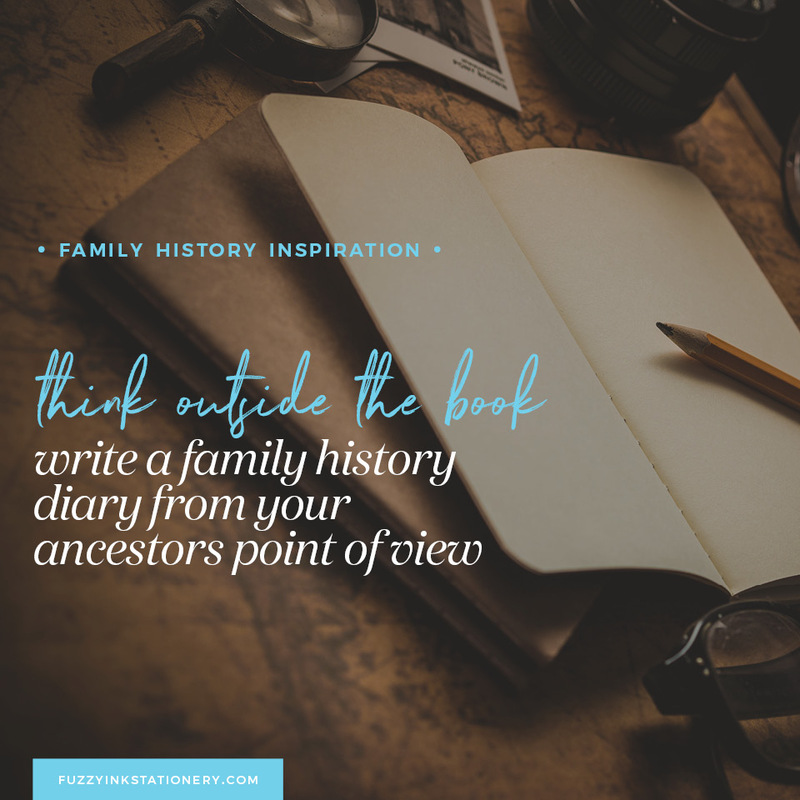 This month I’m exploring the idea of writing a family history diary from an ancestor point view. Does that sound intriguing? It’s an exciting idea, and it could work very well. First of all, people love to read diaries because we love to feel a part of the story. So, reading a journal is like having a one-on-one conversation with the author. Albeit a one-sided conversation but think of it as being an excellent listener. And its timeline storytelling, a format where you can share facts in short sentences. So, it’s the perfect option if you are still building confidence in your writing skills. While writing a family history diary as someone else may seem odd, remember Bridget Jones. And the multitude of other characters who have popped up in diarised fiction. So you might be wondering how that applies to writing a family history diary, or any ancestor story. It applies because this is the writing style that we use when we write our ancestors stories. Let me show you what I mean. I’m going to tell the same story three different ways. The first way will be the facts. The next will be shaping it to read like fiction. And finally, I’ll write it as a diary entry from an ancestor’s point of view. Henry James Drew was born on 28 September 1892 on Quay Street, Sydney, New South Wales. The source of this information was his birth certificate. It was early spring in 1892 and Sydney in New South Wales was bustling with activity. On Wednesday 28 September the city was full of excitement. Just like every Wednesday, Hordern’s department store threw open their doors to serve the fashionable women of Sydney. Today they were ready to wow the locals with the latest designs from London and Paris. Only two blocks away on Quay Street, Maud Drew wouldn’t have been thinking about fashion. She and husband William were ready for a very different delivery. That day, they would welcome their second child, Henry James. Another boy! Named Henry, after the paternal grandfather he would never get to meet, and James to honour his father’s brother. For this piece, the sources include many birth and death certificates, the front page of the local paper (the Sydney Morning Herald) and Google Maps. I’ve added in observations for atmosphere but nothing that will change the story. His name is Henry. Henry James. A little brother for Harold Herbert who will be turning two soon. We’ve named the new baby after William’s father Henry and brother James. Henry passed away in March 1888, so he’ll never get to meet his namesake. A simple diary entry to create the timeline, pulling information from various birth and death certificates. I’ve stuck with only the information that can be verified using public records. The challenge is not to embellish with emotion because that may not be accurate. We can be creative with how we tell the story, but it must remain factually correct. 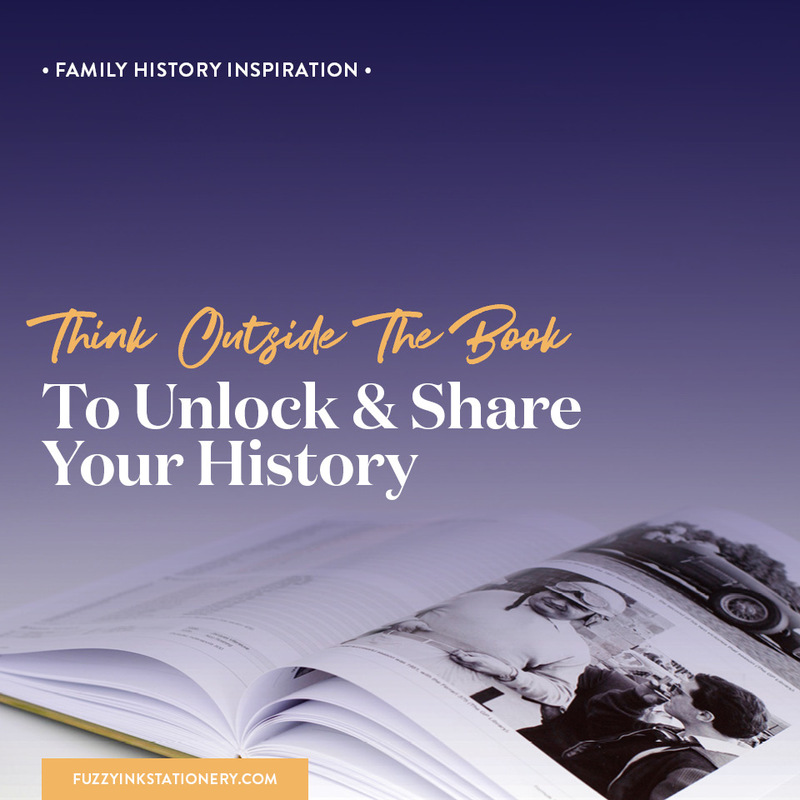 Would you consider writing a family history diary? I think the example above establishes the context of what I have in mind for a family history diary. It isn’t a deep dive into your ancestor’s emotional state of mind. Nor do you have to make up anything. Use facts from records, newspapers, and photos. You can include everything that would be in a traditional family history book like dates, names and world events. It is creative non-fiction from another point of view. Why a family history diary? It’s a format that gets you close-up to your ancestor while giving you a different point of view – theirs. Because you’ll be writing in the first person, it’s a good idea get an understanding of how they lived. 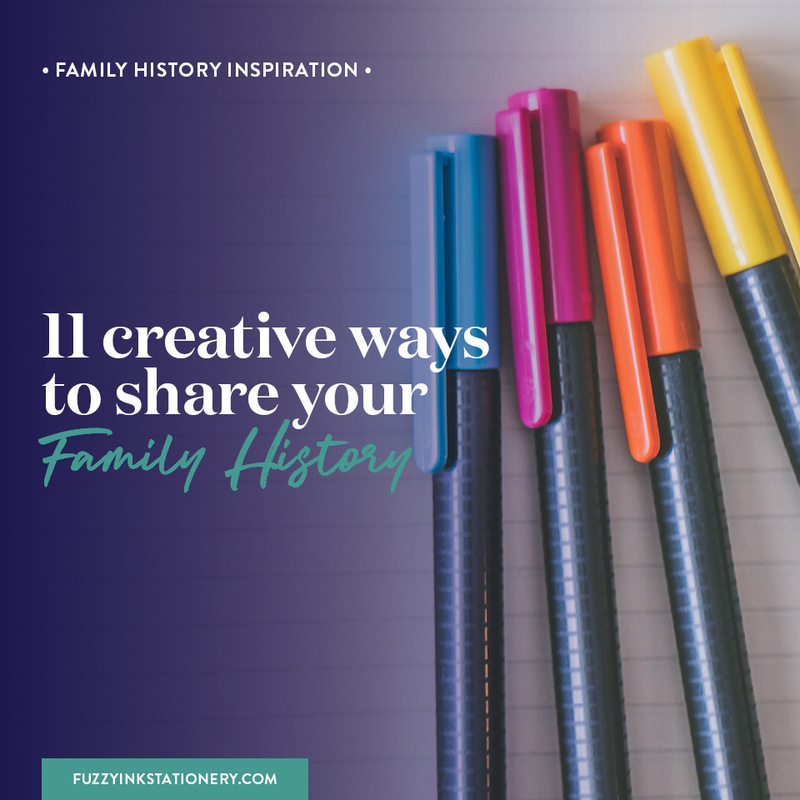 Have you read 8 ways to step into your ancestor’s shoes before writing your family history? 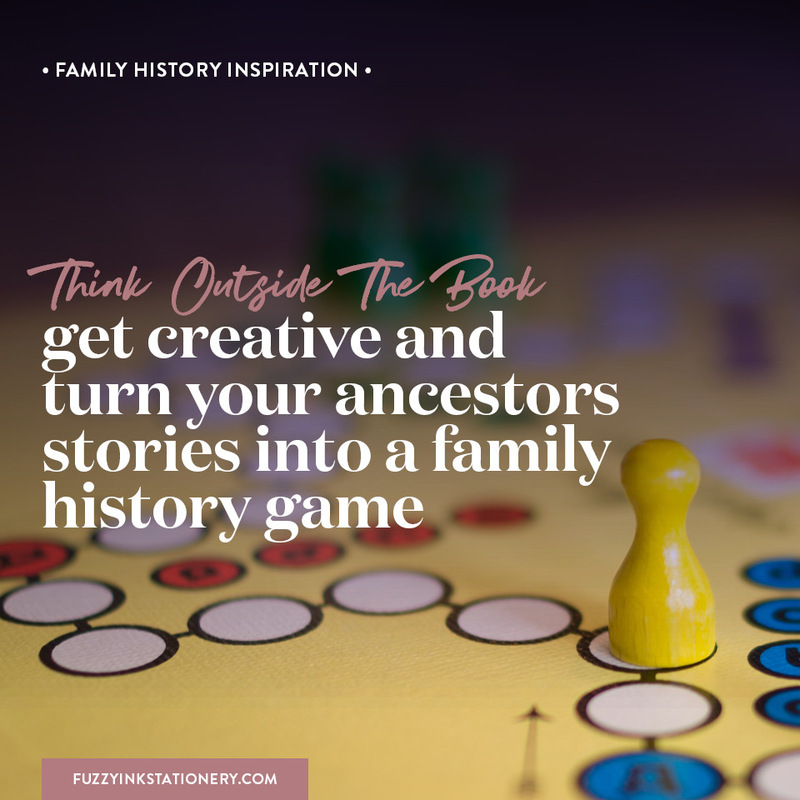 There is also a workbook in the Resource Library to help you get into your ancestor’s mindset. 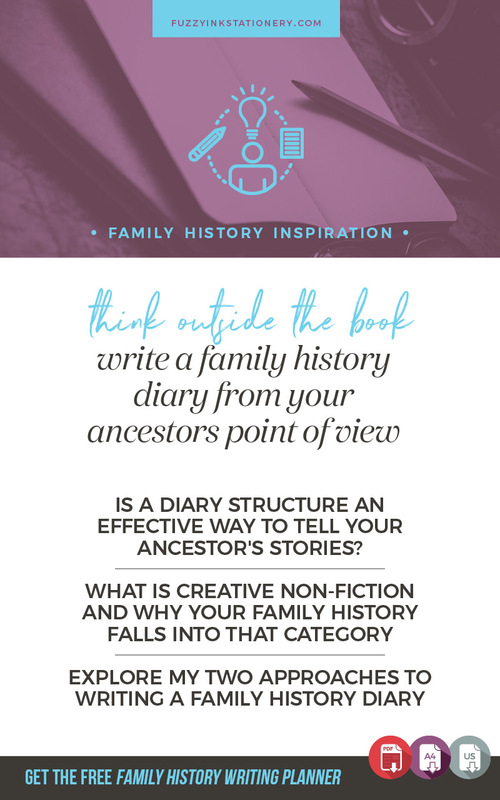 There are two ways to approach writing a family history diary. Get creative and explore each idea to find which one best fits your writing style. Write in an ‘on this day’ format. Include all of the events that took place on that day for a particular ancestor and their family. Also, include other world and local events to paint a picture of what life was like at that time. Create this type of diary one day at a time. The silver lining is that it will only take 366 days (don’t forget the leap years!). Once it’s complete, it’s easy to maintain by adding new information as you discover it. 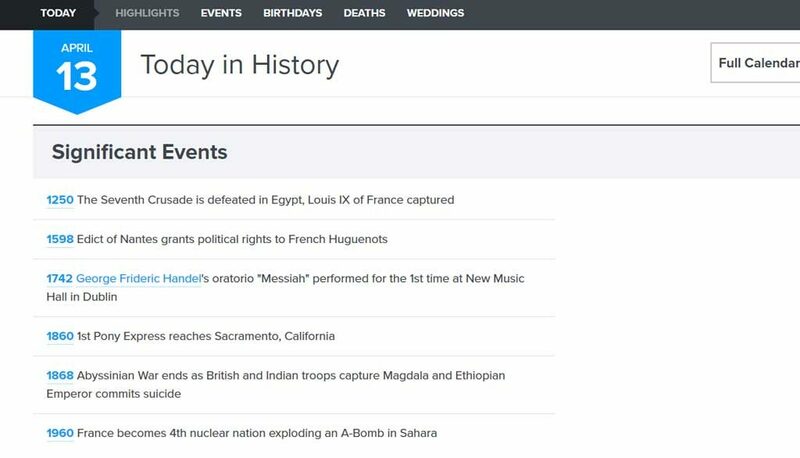 Add the year and information, like this example from the On This Day website. Option 2. Choose one ancestor and write in the first person from their point of view. If you need inspiration, then read one or two diaries from the era you want to cover in your family history diary. You may be able to find journals that talk about the same area that you will include in your writing. Libraries, museums, and historical societies are a great place to find these. Some diaries have been transcribed and are available online, like Tottie’s diary which is on the Sydney Living Museums website. Try searching for [year] [town or area] diary and see what you can come up. You may want to keep the story going after your ancestor has died. In that instance, choose another relative and pick up the story from their point of view. Blog posts display newest to oldest. That means the, so the first entry will always be last on the list. The workaround involves changing the date of any new posts, so they are before the first one. Not an ideal option if it’s the publication date is essential in your storytelling. I suggest using the categories (WordPress) or labels (Blogger) to show Chapter 1, Chapter 2, etc. I also recommend having an index page in the menu with links to each CHAPTER. Microsoft Word, Google Docs or any software where you can add text, photos, headers, footers and control margins and page size. If you need help setting up your blog, I’d recommend WordPress.com or Blogger. Both have great support, tutorials, and free plans. Blogger. You will need to set up a google account if you don’t have one. WordPress.com. You will need to set up a WordPress.com if you don’t have one. Before you start typing, you will need to know what story you are telling. 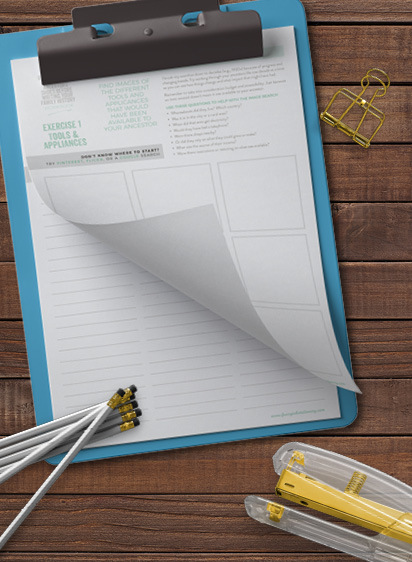 Even if you are creating a series of diary entries, you’ll need a big picture plan of the overall story. Once you have worked out how you are sharing the story (PDF, Word document, blog, etc. ), and what the story is, then you are ready to jump in and start creating. Diaries don’t have to be text only stories. Try adding photos, maps and other elements that will help your audience follow along with the story. If you need some inspiration then head to Pinterest and search on visual diary, travel diary, or photo diary. 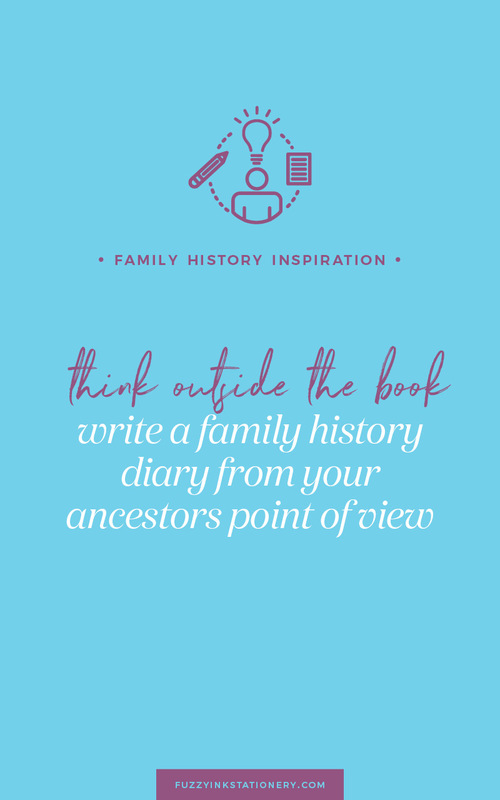 What do you think about writing a family history diary? Now it’s your turn in the hot seat. 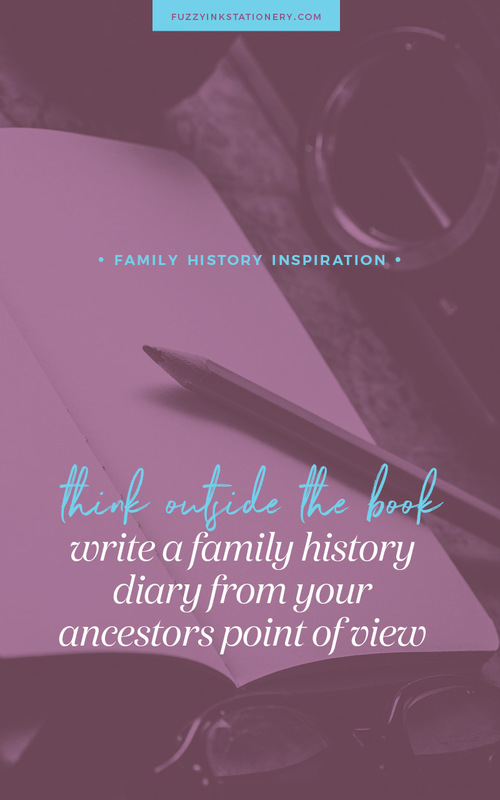 Tell me your thoughts in the comments and what you think of writing your family history as a diary? Will you try it?